The arm air pressure massage (built-in 18airbags),can massage the finger as well. Back-waist twist and heat function: Adopt carbon fibre as heat emitter. Zero space( designed with one button to move smoothly and unique forward slip. Designed with protection sensor of pressure proof inside, safety detection in time. Back heating function, use carbon fibre as infrared heating source. The footrest can be extended to suit various heights. Zero-wall, make a zero-space design to maximally save place. 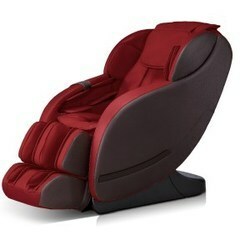 Elite massage chair designed with a set of vertically movable, four-wheel driven muted massage hands. Kneading and flapping, shiatsu, knocking. Automatically scan and positioning of shoulder. Waist twist and waist stretch, designed with three massage memory function. Manual massages for the upper body with three options overall, partial and fixed massage, each with five levels of speed adjustable, in the state of fixed massage, the massage hands can be moved up and down, in the state of flapping, shiatsu and knocking, the width between the two kneading balls is adjustable with three levels: Wide, medium and narrow. Air pressure massage for the arms (8pcs built-in airbags), air pressure massage for the upper arm (4pcs built-in airbags) with three air pressure intensity options. Air pressure massage for the lower body: Back air pressure massage (4pcs built-in airbags).buttock air pressure massage (5pcs built-in airbags), calf air pressure massage (32pcs built-in airbags), with three air pressure intensity options. Rotatable upper arms, suit for different height of people. The sole designed with sole rolling function, with three levels of speed adjustable. The calf rest length can be adjusted according to the user's height. Calf rest and backrest can be reclined and declined, lying mode can be adjusted. 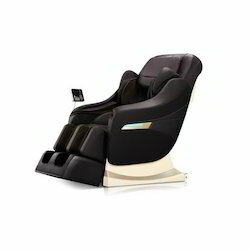 Elite Plus Massage Chair The extrema the 3d intelligent massage technology comes with an adjustable head cushion that can be adjusted freely within 20 cm to fit for different body height and give you exclusive head massage. maximum extended led where the calf rest length can be adjusted according to the user's height. The maximum length can be stretched to 23cm to make sure the whole body get formfitting massage. leg stretch, this function can stretch cartilage tissue between shanks to activate bone regeneration, relieve muscle tension and joint stiffness to keep healthy. waist stretch, this creative function is based on the chiro conception, it can widen the space between vertebral body to avoid bone spur and cartilage oppression on nerve. In this way, herniated dish and muscle stiffness problems can be solved. leg airbag massage, different shape airbags completely pack calf, ankle and foot to bring you triplex enjoyment. Compression, pause and release air pressure method in turn can bring you perfect comfort and harmony. Thai sole gua sha massage, emulation hand touch with advanced roller technology can supply gua sha massage like professional massa-gist. Both gently steady massage and gradually strong massage can bring unprecedented comfort and joy. magnetic therapy with accurately positioned 8 300cc permanent magnets can improve human low-grade magnetite situation by stimulating calf reflect points. 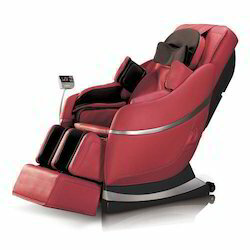 Elite Plus Massage Chair Elite Plus Massage Chair carbon fiber far infrared heating,40*c-50*c back heating function can relieve coldness and pain on your back. The emissive far infrared wave length coincides with human body wave length, so the energy can be absorbed by human cell, which can activate cell and promote metabolism arm airbag massage, airbags equipped on two sides armrest can do all round impulse type air pressure massage to arms and palm. This kind of stimulation of acupoint will relax and relax yourself. Back-waist twist, airbags filling and releasing on the back can drive human waist swing left and right. This move can adjust the spine to relieve muscle stiffness effectively. swing hip, "8" mode left and right swing on the seat cushion can wave users' body like professional masseurs to keep balance, effectively relieve pelvis pressure, buttock muscle stiffness, leg channels and acupoints, then make light posture. Neck stretch, airbags massage on two sides of shoulder can effectively avoid ligament age, relax neck muscle, promote neck and brain blood circulation, provide sufficient oxygen to brain cell to keep clear thinking. Mp3 innovative music interactive therapy will bring you to a peaceful world. Hearing and feeling together give you fresh massage experience and effect. Hearing and feeling together give you fresh massage experience and effect. Promote neck and brain blood circulation. 1. This product is designed with a set of four-wheel driven mechanical massage hands that can move up and down while stretching back and forth. 2. Designed with six simulation massage methods of kneading and taping, kneading shiatsu, tapping, manipulation and knocking. 3. 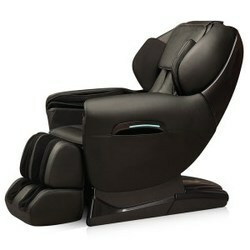 Set with six kinds of characterized auto massage function – Ache relieve Comfort ease Demo Upper and lower body. 4. Legs Designed with roller massage function. At bottom of foot, two pairs of mastoid rotating massage on toe root, scraping massage on the arch and heel. 5. The back heating function uses carbon fiber as on infrared heating source. 6.L Shape back track fitting your body curves, can realize the zero gravity when back down. 7. The audio speakers are located on the upper arm area of the product, music can be played by connecting the blue-tooth to a smart or tablet device. 8.Negative oxygen ions generator set on the upper armrest. 9. With fast button on right armrest, including switch ON/OFF, Zero gravity, auto linkage move. 11. This product is designed with a set of four-wheel driven mechanical massage hands that can move up and down while stretching back and forth. 12. Designed with six simulation massage methods of kneading and taping, kneading shiatsu, tapping, manipulation and knocking. purpose. Leg air pressure, with 3 intensity levels adjustable. 4. The back heating function uses carbon fiber as an infrared heating source. 5. The footrest can be extended to suit different leg lengths. 6. 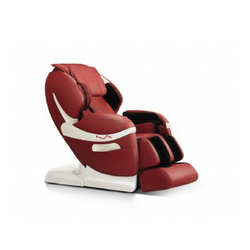 Zero space reach the maximum space saving and design with 3 auto reclining modes. 7. Rated voltage : 220 – 240V 8.Rated Power: 150W. This product is designed with a set of smart 3D mechanical hands, which can move up and down, stretching back and forth, four-wheel drive with the muted design. The shoulder part is designed with automatic detection and micro adjustment function, Body curve and massage points automatic detection, it can automatically adjust the distance of massage hands' moving back and forth according to the detected body curve and massage points, to make the message more humanistic and scientific. Comfort, ease, ache relieve, fast experience, relax, music sync, waist stretch, full air pressure and other specific massage functions. Set with two kinds memo massage functions M1 and M2. Manually select the upper body massage; three massage position options of overall, partial and fixed position, six massage methods of shoulder grasping, kneading, tapping, shiatsu, kneading & tapping and 3D, five massage speed levels available, under tapping and shiatsu massage status, the width of the massage hands can be adjusted to five levels. Arm air massage function (built-in 18 airbags, upper arm air massage function (built-in 4 airbags), with 3 intensity adjustments. Lower body air pressure massage function: Back air pressure massage function (built-in 4 airbags), buttock air pressure massage (built-in 16 airbags), calf rest air pressure massage function (built-in 36 airbags), with 3 intensity adjustments. Back heating function, use carbon fiber as the infrared heating source. The footrest can be extended to suit various heights. With slide rail structure on the backrest, make a zero-space design to maximally save place. Calf rest lifting, backrest lifting, and auto lying models adjustment. LED colorful lights on the armrest. With negative oxygen ionizer on the upper arm. 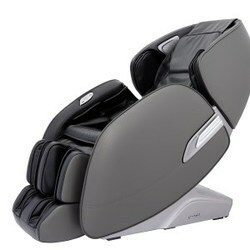 Intelligent terminal (cell phone or tablet PC) control the massage chair by blue tooth. MP3 player function, upper arm built in 3D digital audio. Connect with the intelligent terminal by blue tooth to play music. The arm air pressure massage (built-in 18airbags), can massage the finger as well. Back-waist twist and heat function: adopt carbon fiber as heat emitter. Designed with protection sensor of pressure-proof inside, safety detection in time. Back heating function, use carbon fiber as an infrared heating source. With negative oxygen ionizer on the upper arm. 10 natural magnets equipped in massage balls and calf rest airbags. LED colorful mood light on the armrest. Automatically restoration functions when pressing the power button. Lower body air pressure massage function: Back air pressure massage function (built-in 4 airbags), buttock air pressure massage (built-in 16 airbags), calf rest air pressure massage function (built-in 36 airbags), with 3 intensity adjustments. RoboTouch is our greatest product, based on biomechanics, ergonomics, and model physical therapy, and its design takes into account human skeletal characteristics. All this, combined with zero power, zero space, a longer curved rail massage, model physics stretch, point, magnet therapy, a total of 28 air bags, 8 permanent magnets, and 1 air pump, will bring you a supreme massage experience when you’re at home, helping you to keep healthy and active every day. The innovative function is the 1 air pump, which can work synchronously and continuously to supply motive power for the whole 28 airbags. Both stereo leisure massage and strong airbag pressure are accurate and unique, which makes you enjoy a lively, fresh massage. We focus on creating the world’s most famous health brand and on making RoboTouch health products enter into tens of thousands of households. RoboTouch health products use leading international leading technology, such as the 2D detection function, which can locate the massage points according to your body height, from the Fengchi point on the neck to the Yongquan point on the sole; it relates to more than 500 points on the body, thus offering you a professional and comfortable physical therapy, helping you solve the problem of poor health, and helping you to refresh yourself.The 1 air pump has an innovative function which allows it to work synchronously and continuously to supply motive power for the whole 28 airbags. 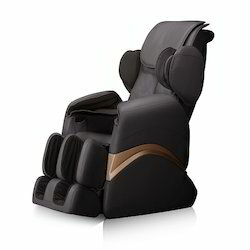 Both stereo leisure massage and strong airbag pressure are accurate and unique, which makes you enjoy a lively fresh massage. We focus on creating the world’s most famous health brand and on making RoboTouch health products enter into tens of thousands of households. If you have pain in the waist and back area, or a stiff neck, the main problem are the vertebrae. RoboTouch health products use leading international leading technology, such as the 2D detection function, which can locate the massage points according to your body height, from the Fengchi point on the neck to the Yongquan point on the sole; it relates to more than 500 points on the body, thus offering you a professional and comfortable physical therapy, helping you solve the problem of poor health, and helping you to refresh yourself. RoboTouch health products are tailor-made through medical testing. 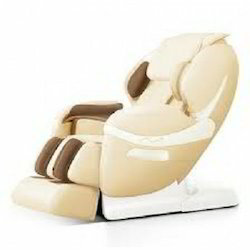 Looking for Automatic Massage Chair ?